The region of Poitou-Charentes is the number one property hotspot for UK buyers according to a survey. It's easy to see the attraction! Poitou-Charentes has great transport links from the UK, glorious countryside and a lovely coast. It's also got endless entertainment and activities and one of the sunniest climates in the country. 2018 is a great time to buy a property in France, as it really is a buyer's market at the moment (Best Reduced Price Property for Sale in France). 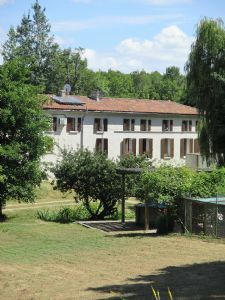 This is even more so the case in Poitou-Charentes, where prices are traditionally low and property in 2018 represents fantastic value for money. 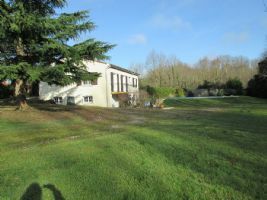 A lot of sellers have already reduced prices in accordance with the economic situation throughout most of Europe, making property in Poitou-Charentes more attractive then ever. Departments of Poitou-Charentes - what do they offer? Poitou-Charentes has four departments offering different things. The Charente-Maritime has the beaches and resorts of the Atlantic coast, which is an obvious attraction. Charente is lively and offers access to the popular Dordogne, without paying Dordogne prices! Vienne has many activities on offer and is also home to the capital city of Poitiers. Finally, the Deux-Sèvres has lovely rural landscapes and the unique waterways of the Marais Poitevin, also known as "Green Venice". The region's sunshine record is also a big attraction. Poitou-Charentes has got one of the best sunshine records in France, being second only to the Mediterranean coast in this respect. Typically, there are 2,400 sunshine hours per year! It also enjoys mild winters, thanks to the Gulf Stream effect. In fact, the winters are often warmer than those in much of the south, with temperatures of 10 degrees centigrade enjoyed in January. Poitou-Charentes will appeal to families, as there are hundreds of activities and places to enjoy days out. Among the most famous of its attractions is the educational theme park of Futuroscope, established in 1886, but there are many more great places to go. Although it is not a wine producing region, there are still a lot of vineyards in Poitou-Charentes, used to produce the local specialties of Cognac and Pineau. The Charente-Maritime department is also renowned for its superb oysters. Below we have picked ten of the best properties on the market in 2018. With properties like these at such low prices, what are you waiting for? You could find your new home in France today. 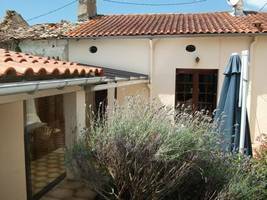 Renovated house - Ideal holiday home! 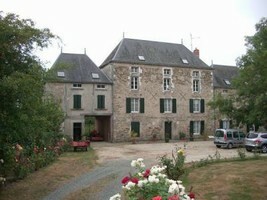 Renovated stone built house, situated in a quiet hamlet. 3 bedrooms, courtyard and garage. Conservatory and summer kitchen. The house comes with 1459m² of land some of which is adjoining the property and some of which is seperate to the property. 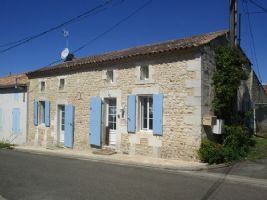 In a lovely village, renovated property with original features! 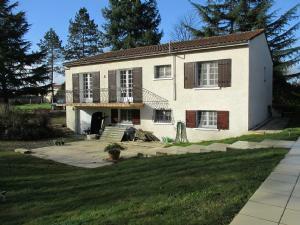 Located in the village of St Sorlin de Conac, this renovated property offers 107m² of habitable space. Ground floor: fitted kitchen, living room with fireplace, bathroom with WC. Upstairs: mezzanine, 3 bedrooms and WC. Independant outbuilding of 23m² with electricty and water connected plus small garden. 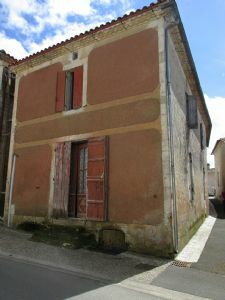 Charentaise style property in need of some updating but habitable straight away. Offering approx 136m² of habitable space on a plot of approx. 3500m². All on the ground floor: entrance hall, living room with fireplace, kitchen with fireplace, office, 3 bedrooms, shower room and WC. Upstairs: Attic space which could be converted if required. Large attached outbuildings including two garages and stables. Oil fired central heating. New drainage system required. 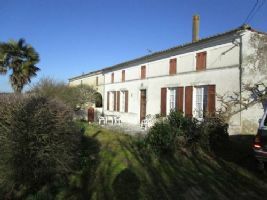 Situated between the towns of Mirambeau and Plassac in the south of Charente Maritime is this lovely house in excellent condition throughout with a basement level, large grounds and pool. Upstairs there is a large living room, fitted kitchen, 3 bedrooms all with built in wardrobes, bathroom with wc and a second separate toilet. Downstairs on the basement level is a games room, bedroom, bathroom and wc. There is also a summer kitchen, garage and bolier room. Lovely garden of 4436m² with a pool. Our ref- AI3643 This Grand 6 bedroom / 6 bathroom Manor House, dates back to the 16th century! The property is entered via large electronic gates. The house is set in secluded walled gardens of just over an acre with a tennis court, swimming pool, barbecue patio area, lawned gardens and vegetable plot. Idyllic setting for this beautiful property ideal for a retreat! 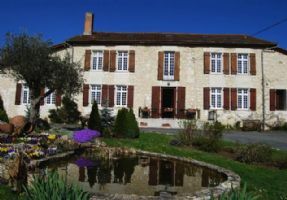 Superb setting for this lovely property with its own gite, just over 3 hectares of land and a fishing lake! the main house offers 270m² of habitable space and has 4 bedrooms. There is a two bedroom gîte with its own entrance. Situated at the end of a lane with no neighbours, thre are also 4 dog kennels plus a cattery for 4 cats, offering potential to run a boarding kennel. Above ground swimming pool. There is also a stream and water turbine offering the possibility to go off grid. Superb 17th & 18th century water mill, now a fully renovated family home with 350m² living space, decorated in a style commensurate with the standing of the property. Comprising an entrance hall, 50m² living room with woodburner, 28m² dining room with woodburner, fitted kitchen 25m², utility, 5 bedrooms (ranging from 14 to 30m², one is downstairs, one has a 25m² dressing room and bathroom), 3 bathrooms, library, laundry. Extensive attics. 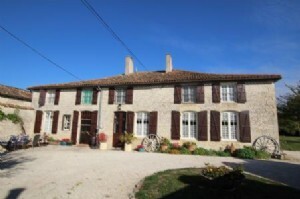 An excellent business opportunity, a manor house and gites set on 29ha of land. This impressive Manor house dates back to the 15th Century, there are 3 gites, a B & B business and a geodesic dome for yoga. Standing proud in the French countryside is this beautiful domain with lovely views and no close neighbours, this house is full of character and is a rare find.